Our 1000 LPH Commercial RO System is for ultimate purity and good taste. Our 1000 LPH Commercial RO Systems provides you the quality of bottled water and the convenience of producing it at home. 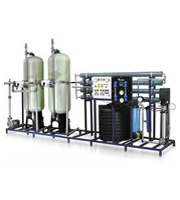 1000 LPH Commercial RO Systems multi-stage purification process and RO technology, not only physically removes unwanted and life threatening micro-organisms, but also removes harmful chemical pollutants and heavy salts present in the water, to ensure clean and healthy drinking water. All commercial RO Plants offered by Aquafresh RO System are customized and configured to suit the individual requirement, which varies from normal drinking application to the specific usage, such as food Processing and boiler feeding requirement.